When will be The Real Adventures of Jonny Quest next episode air date? Is The Real Adventures of Jonny Quest renewed or cancelled? Where to countdown The Real Adventures of Jonny Quest air dates? Is The Real Adventures of Jonny Quest worth watching? The Quest team is back, doing what they do best - exploring supernatural and extraordinary events all over the world. The show premiered in 1996-1997 and it takes place about 7 years after the previous show. The Quest team consists of regular members - Dr. Benton Quest; Race Banon, his friend and bodyguard; Jonny, his son, and Hadji, his adopted son; but now the team got backup in form of Race's daughter Jessie. Like in the original show, the team travels around the world, solving misteries (not Scooby-Doo-like misteries, but real supernatural ones). Only here, the team uses modern computer technology (most notably the unique virtual reality program called the Questworld) and Jonny, Hadji and Jessie are now teenagers, old enough to look after themselves. The villains they ussualy encounter are Jeremiah Surd, the half-machine, half-human hacker and his group of terorists; Ezekiel Rage, a zombie-like lunatic who wants to destroy the humanity; and of course, their old archenemy - Dr.Zin. There were 52 episodes and 2 seasons which were done by two different crews, including animation and voice actors, but the story types were preety much the same. The show was highly praised both by fans and critics for it's mature stories and its depiction of real science instead of fantasy. The show was released on VHS, and only one episode was out on DVD, but it was never fully released on DVD. There are still reruns on Cartoon Network and Boomerang aired along with the original episodes. 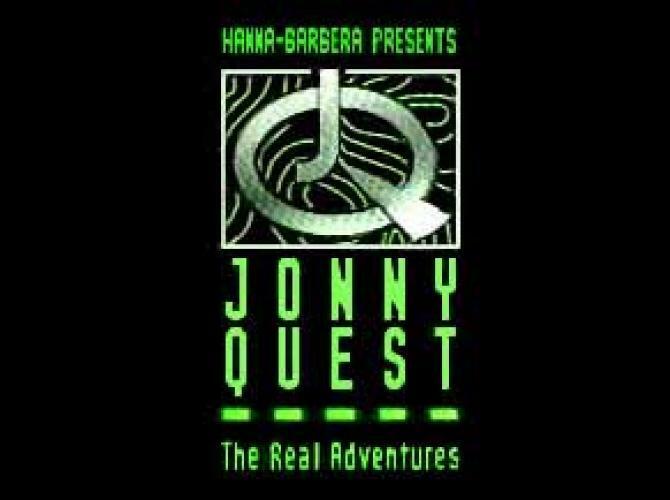 EpisoDate.com is your TV show guide to Countdown The Real Adventures of Jonny Quest Episode Air Dates and to stay in touch with The Real Adventures of Jonny Quest next episode Air Date and your others favorite TV Shows. Add the shows you like to a "Watchlist" and let the site take it from there.